With a voice that is warm, wide-ranging and dark-hued, and commanding a repertoire that extends from the baroque to the present day, German-born soprano Sophie Klussmann is in demand as a concert singer, as a recitalist and on the opera stage. In recent seasons her engagements have included a world tour of Mozart concert arias with Martin Haselböck and the Wiener Akademie, and performances and recordings of 20th century music with the Berlin’s Scharoun Ensemble, the pianist Oliver Triendl and a variety of other partners. Over her career to date she has collaborated with such conductors as Marek Janowski, Ingo Metzmacher, Helmuth Rilling, Michael Gielen, Michael Sanderling, Karl Heinz Steffens and, in the field of historically informed performance, Marcus Creed, Václav Luks and Attilio Cremonesi. Trained in Detmold and Cologne, Sophie Klussmann numbers Thomas Quasthoff, Dunja Vejzovic, Margreet Honig and Klesie Kelly-Moog among her mentors. From 2009 to 2011 she was a member of the Halle Opera, where her roles included Pamina (Die Zauberflöte), Cherubino (Le nozze di Figaro), Nannetta (Falstaff), Dorinda (Orlando), Wellgunde (Das Rheingold), Woodbird (Siegfried), Shepherd Boy (Tannhäuser) and the soprano part in Carmina Burana. In Halle and at the Komische Oper Berlin she gave the world premieres of two operas by the composer Christian Jost. At the 2013 Baden-Baden Easter Festival, she covered Anna Netrebko in the role of Donna Anna, while 2016 brought her debut as Micaëla (Carmen) in Wuhan, China. 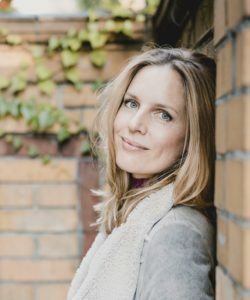 Sophie Klussmann’s stage skills were honed by her long-term collaboration with American actor John Malkovich, who selected her for the theatre pieces The Giacomo Variations and The Infernal Comedy, which were staged in the US and around the world. As a keen interpreter of song and chamber repertoire, in 2017 Sophie Klussmann appears in recitals in Germany and at the Kuhmo Festival in Finland and the Musikus Fest Hong Kong. In 2015 her first solo CD, devoted to songs by Karl Weigl, was released on the Capriccio label. She has appeared with the Radio-Sinfonieorchester Berlin, Deutsches Sinfonieorchester Berlin, Konzerthausorchester Berlin, Potsdamer Kammerakademie, SWR Sinfonieorchester, Staatsphilharmonie Rheinland-Pfalz, Düsseldorfer Symphoniker, Budapest Festival Orchestra and, in music by Ligeti and Stockhausen, with the Cologne-based Ensemble Musikfabrik. Her career has taken her to venues such as the Philharmonie and Konzerthaus in Berlin, Musikverein in Vienna, Théâtre du Châtelet in Paris, Tonhalle in Zurich, Muziekgebouw in Amsterdam, Liszt Academy and Palace of Arts in Budapest, New York City Center, Power Center for the Performing Arts in Ann Arbor, Teatro del Bicentenario in León, Mexico, and the Concert Hall of the National Grand Theatre Beijing.